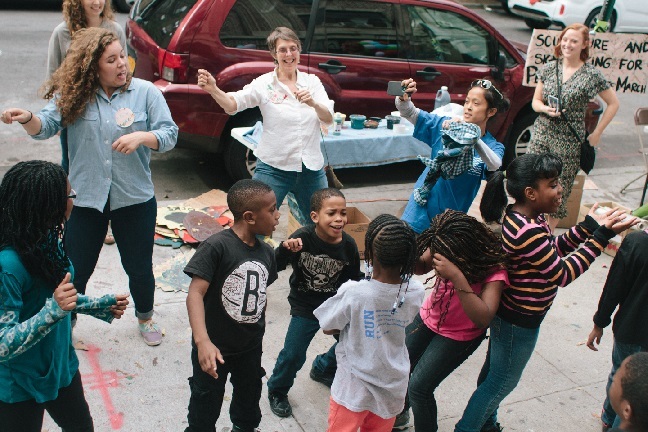 StoryBlock is a continuation of the Hunts Point Create Change Fellows 2014 Field Day project. Alison and Sasha will create a oral history and visual community archive that celebrates the cultural richness of Kelly Street residents living in the Longwood section of the South Bronx. Alison (Create Change Fellow ‘14) is a cultural organizer, performer, and writer working at the intersection of community, education, and cross-cultural dialogue. She was awarded Dance Writing Award, Benenson Award in the Arts, and Paul Farmer Award for Justice and Social Responsibility. She graduated from Duke University. Sasha (Create Change Fellow ‘14) is a photographer from Pennsylvania working with photographs to question how groups and communities of color are represented. She was a 2012 Tierney Fellow and is a current Time Exchange Resident. She graduated from Bard College.